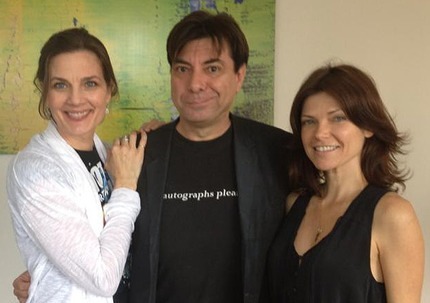 Interviews with Star Trek actors Terry Farrell & Nicole de Boer, who played Jadzia & Ezri Dax, symbiant beings stationed at Deep Space Nine. They were both in Sydney for Culture Shock‘s OzTrek 9. We also learn of the popularity of the Star Trek door chimes in the “dealers room”. Deepwater Black and of course Becker get a mention.